But The Cybis Are On Fire! 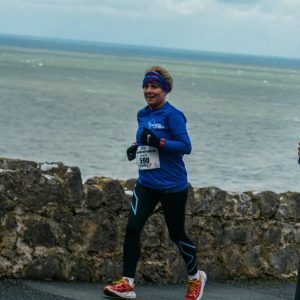 Run report February ’18 + bumper Anglesey Half Edition. This month has brought some of the most brutal conditions of the winter season. 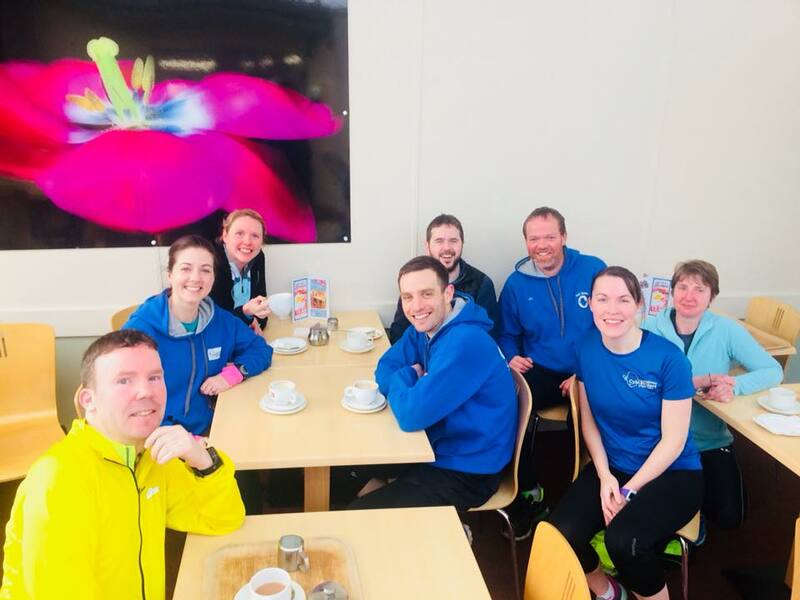 Despite guest appearances from Storm Emma and The Beast from the East, the club powered through some chilly Monday night sessions and wet Wednesday runs, seeing many members rewarded with PBs over the course of the month. 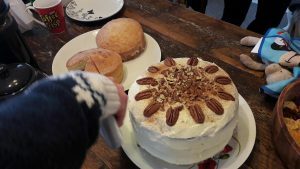 This report features the last XC of the year, three half marathons, two 10ks and a giant circley ultra-marathon! The club has also had some great success with the C25K course introducing over 60 newcomers to the world of running, and seen a number of members achieve new PBs at Penrhyn Parkrun. 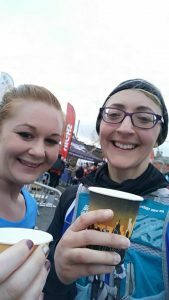 Well done to everyone who has run, raced and supported – check out the details of these adventures below! The last event of the cross-country season, this race was not designed for those averse to mud! Featuring hills, streams and a few stiles chucked in for good measure, the Oswestry course delivers the true cross-country experience. XC power couple Nigel and Di Holmes both took part, with Nigel placing 98th in a time of 50.13 over a 5 mile course in the men’s race, and Di taking 69th in a time of 33.47 over the ladies 3 miles. Kevin Clark and Rhi Willmot also ran, with times and positions of 47.42 & 85th, and 27.30 & 28th respectively. 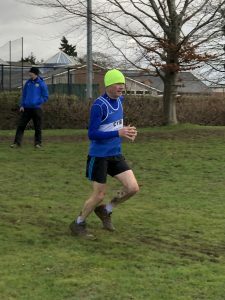 Ian Mulligan ran for Colwyn Bay, and despite changing his shoes half-way around the course still came in at 117th with a time of 53.00 minutes. So, whilst it’s time to say good bye to cross-country for now, we are sure to see more good muddy fun next season! 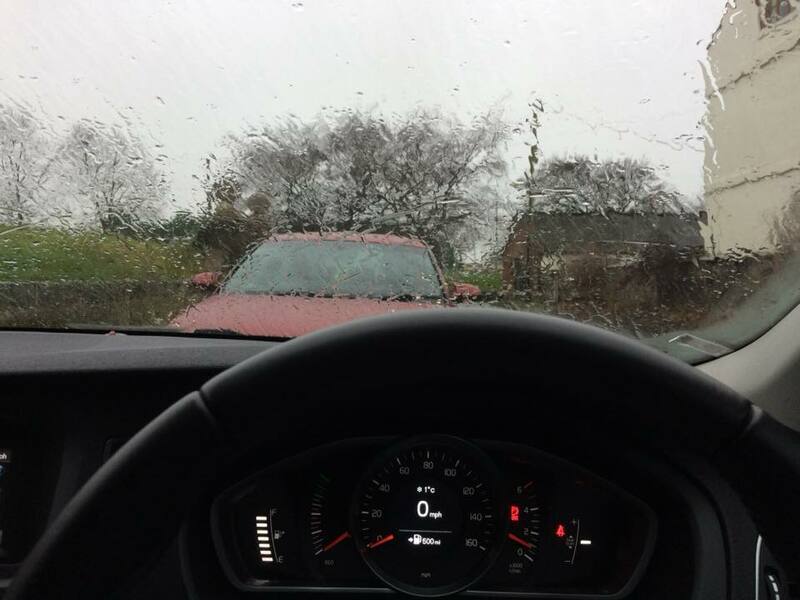 At the other end of the UK, a Cybi who is a well-known fan of the longer distance event decided to take on the Arc of Attrition. 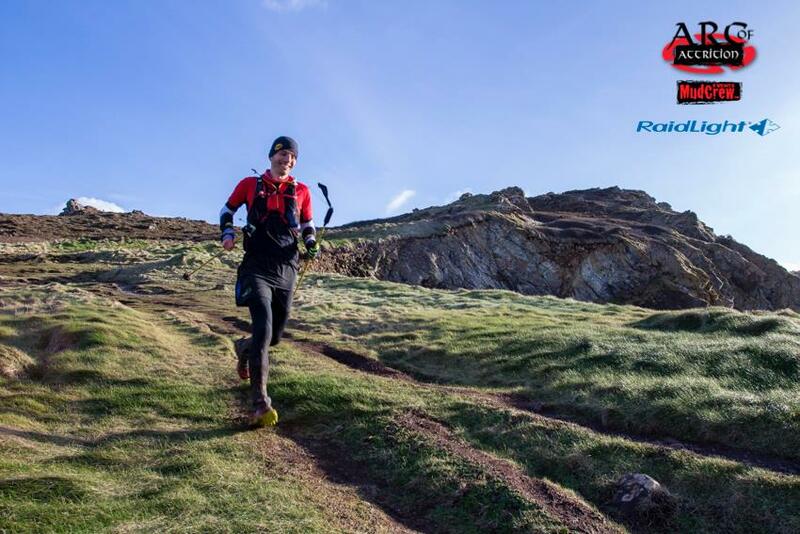 This race is hosted in Porthowan, Cornwall, and features 100 miles of stunning coastal trail. 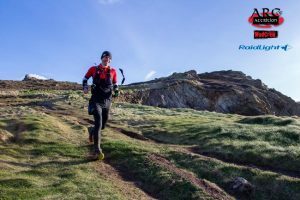 A self-navigation event designed for experienced ultrarunners, Ian Ferguson was undoubtedly in for a tough challenge! After running for a mind-boggling 32 hours, 1 minute and 38 seconds, Ian completed this epic challenge, and was somehow still able to smile at the end. Super running Ian! 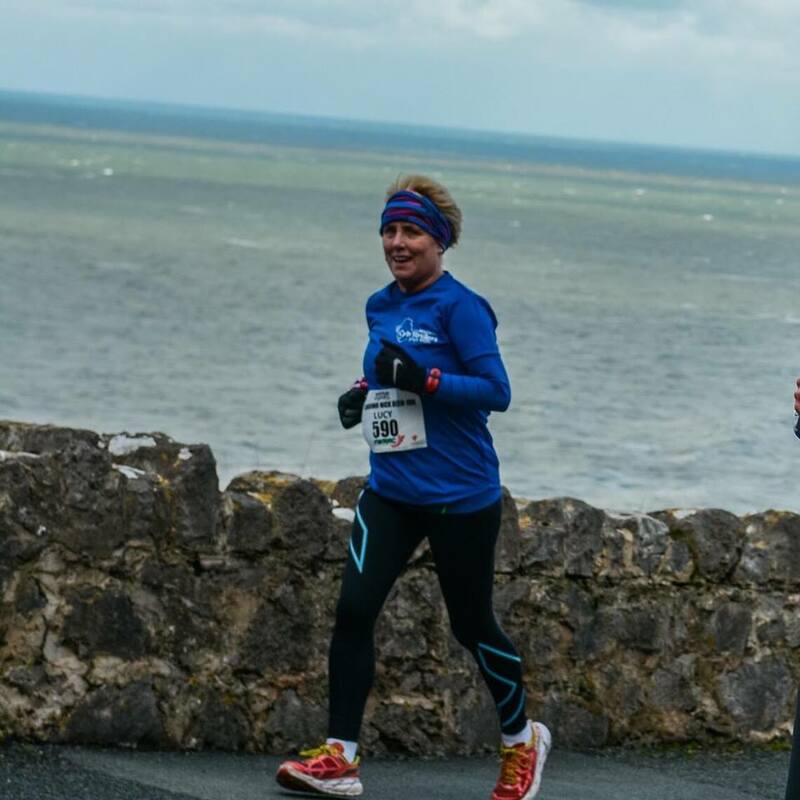 As if running up the Orme isn’t challenging enough, competitors in this race also faced strong winds and freezing temperatures! 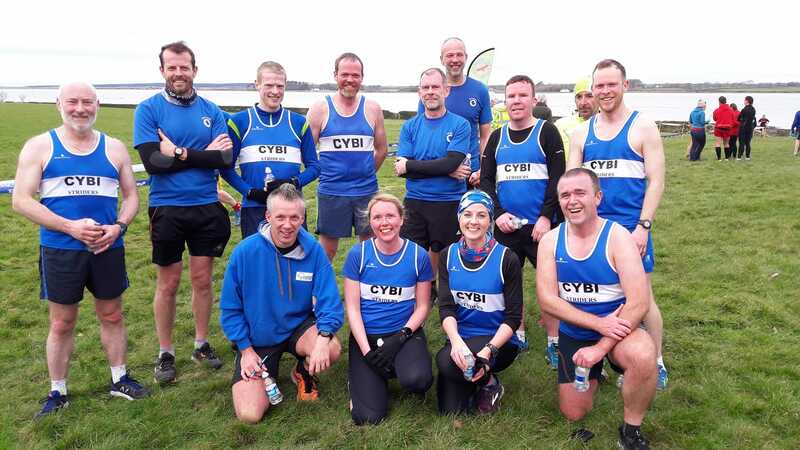 A solid representation from club Cybi, this event saw high placings for members across multiple categories, including Ryan Roberts who came 4th in the MSeniors and 12th overall in a time of 36:47, Peter Jones who took 10th in the M35s in a time of 41:22, Rhi Willmot who came 10th in the FSenior category (46:31), Nigel Holmes who came 9th in the M55 (46:31) and Sue Jones, Di Holmes and Michelle Hibbs who placed 7th, 8th and 9th in the F55 category (54:35, 55:33, 55:45) respectively. Other runners were James Hooton, Kevin Clark, Sion Roberts, Sian Ellis, Ieuan Davies, AT Jones, Alun Rowlands and Darren and Sal Seeny. Fantastic job all! Intrepid Dave and Sian Ellis were greeted with sheets of rain on the morning of Helsby Half. After battling through the rain for just under two hours, Sian pipped Dave to the post, with a time of 1:48:32, with Dave hot on her heels in at 1:49:29! Race number 4 of the Borders League Inter-club competition was hosted in Caernarfon, and saw a solid Cybi turnout. 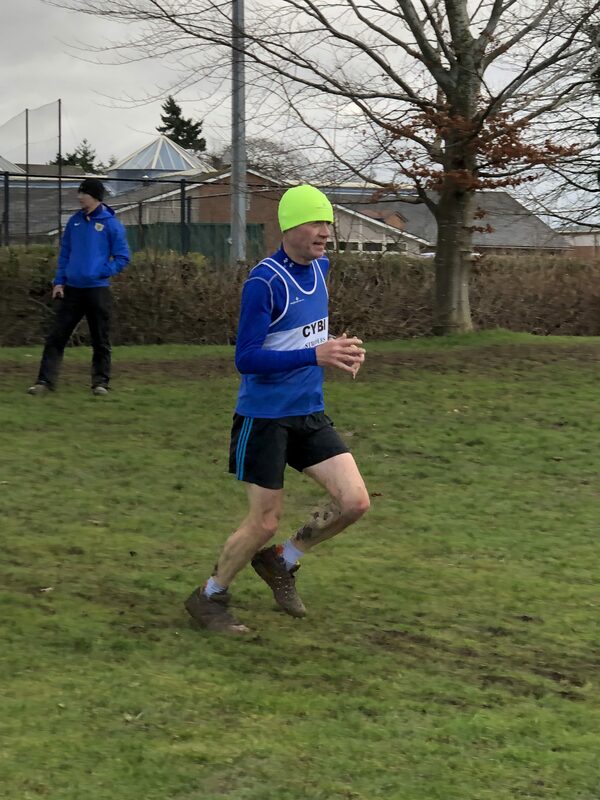 First home and 5th M45 was Andy savage in a time of 37:36:00, shortly followed by Kevin Clark who set a brilliant new 10K PB at 40:31:00, and achieved 6th in the M50 category. Sian Ellis also put in a strong performance, returning home in 49:09:00 as 7th F35 and Sam Ferguson gave her borders league debut in a great time of 53:06:00, earning her 19th place in the Senior Female category. Other runners were Peter Jones, Irfon Rowlands, Chris Thomas, James Hooton, Ian Mulligan, Sion Roberts, Paul Maitland, Dewi Williams and Jason Burke. Fantastic job all who ran! As the old saying goes, “Never enter a race that delivers just a medal, when you can enter a race that delivers a medal AND a scone instead!”. With this in mind, two Cybis travelled to Wrexham to take part in the Village Bakery Half Marathon. 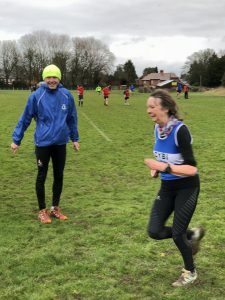 Sian Ellis ran a cracking time and personal best of 1:44:30, and Irfon Rowlands also had a strong race finishing in 1:28:00 and 15th in the V50 category. The beginning of March brought us a match made in weather-hell, with Storm Emma and the Beast from the East wreaking havoc together across the entire UK. 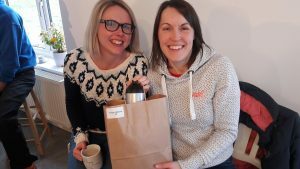 The week leading up to the Anglesey Half-Marathon and 10k saw storm-force winds, freezing temperatures and icey pavements, making a nice cup of tea in the warm a much more appealing option than squeezing in some last-minute training! 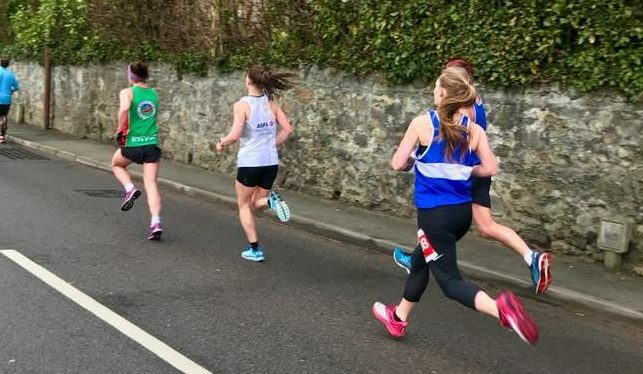 Yet thankfully by the morning of the race the wind had dropped, temperatures creeped into the plus figures, and the sun even made a brief appearance whilst runners flocked to the start line on Menai Bridge, including a fantastic turnout of 34 Cybis. Such conditions and a (relatively) flat course made for PB’s galore, with 12 Cybi’s across the half and 10k posting new record times. Cybis featured on both the male and female podiums for the half, with Andy Savage winning the M40 category and placing 4th overall male with a PB time of 1:18:01, and Rhi Willmot with a PB time of 1:32:04, finishing as 3rd in the FOPEN category and 4th overall female after a tightly contested last mile. In the 10k, more great performances were posted by Nia Wright Morgan who brought home the win in the F40 category as well as placing 3rd overall female (45:20, PB), Sian Ellis who came 5th in the FOPEN category (48:48) and 7th overall, and Elen Jones who came 7th in the FOPEN category and 9th overall (49:33), meaning the ladies team prize was also awarded to Cybi – well done girls! 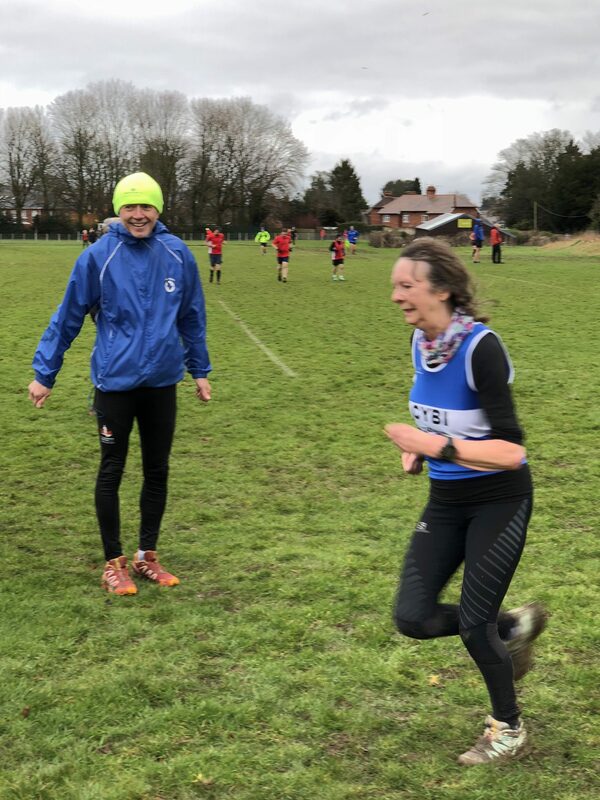 …and Manchester Marathon training is paying off for Josie Rhisiart Paul Maitland, with PBs of 1:47:40 and 1:50:35 respectively. 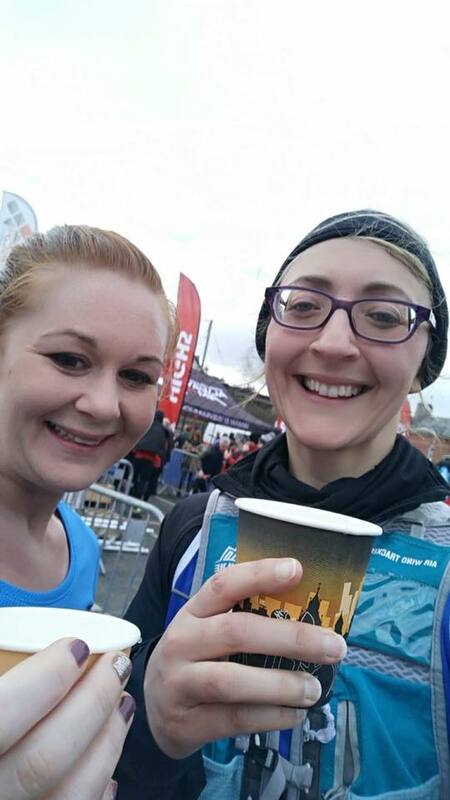 Yet more great PB times well in under the 2 Hour mark for Di Holmes (1:53:52), Ceridwen Evans (1:54:59) and Sion Roberts (1:56:28), fantastic half-marathon debuts for race team Angharad Rhisiart (2:09:57) and Sarah Parry (2:09:57), and yet another PB was achieved by Allison Parry at 2:19:03. Helen Aslett also did a fantastic job not only running the 10k but also fundraising for Mummy’s Star, a charity dedicated to supporting women diagnosed with cancer through pregnancy and beyond. 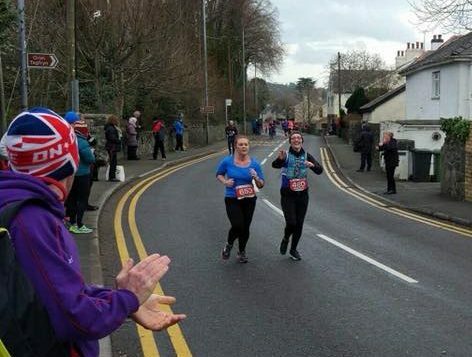 Anglesey was the first race in Helen’s bid to support Mummy’s Star and so far she has raised £387.00, so do check out her story on justgiving.com if you would like to donate (https://www.justgiving.com/fundraising/helen-aslett7). Well done Helen! Other runners were Ian Ferguson, Peter Jones, Chris Thomas, James Hooton, Edith Gruber, Nigel Holmes, Daren Seeney, Ieuan Glyn Davies, Michelle Hildos, Samantha Ferguson, Sue Jones, Robin Parry, AT Jones in the half, and David Ellis, Dewi Williams, Jason Burke and Chris Williams (with buggy!) in the 10K. What a fantastic turnout, with brilliant support from more Cybi’s in the crowd. Well done to all!